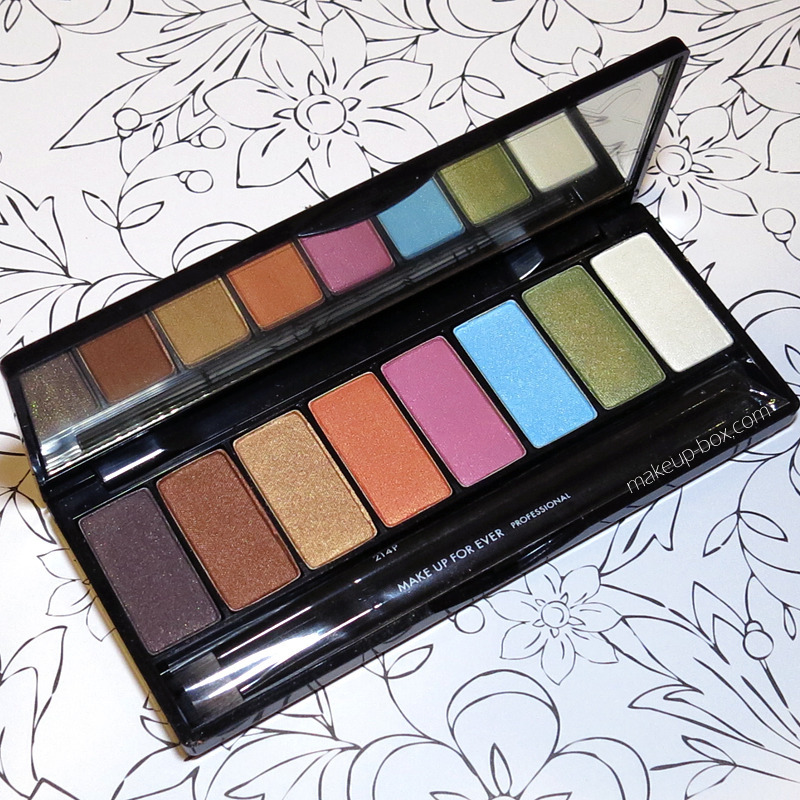 The Makeup Box: Make Up For Ever Arty Blossom (Spring 2014) palette swatches! 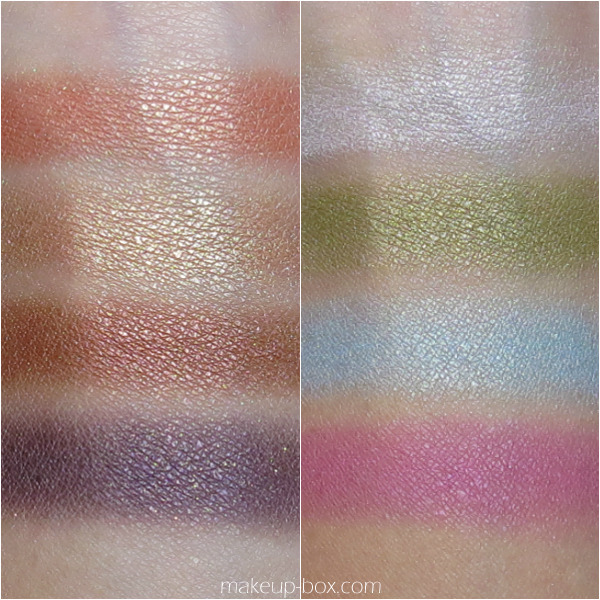 Make Up For Ever Arty Blossom (Spring 2014) palette swatches! Arty Blossom is a fun collection of 8 shades ranging from browns to orange and bronze, to Powerpuff Girl colors of blue, pink and green, as well as an ivory. The main thing you want to note is that this isn’t exactly a palette for people who are shy of color. Most of the colors are not your typical “everyday neutrals”. Even the 2 browns are very strong shades (unless you have darker skin, in which case those are really beautiful for everyday). IRONICALLY, pink, blue, orange, and green look very strong in the palette but they’re quite luminous and pastel on the skin.They’re translucent so they can be worn on deeper skins without looking too chalky white, but this also means if you want any intensity, you will need to use them wet. There’s a fair amount of fallout, which is to be expected for pigmented shadows. 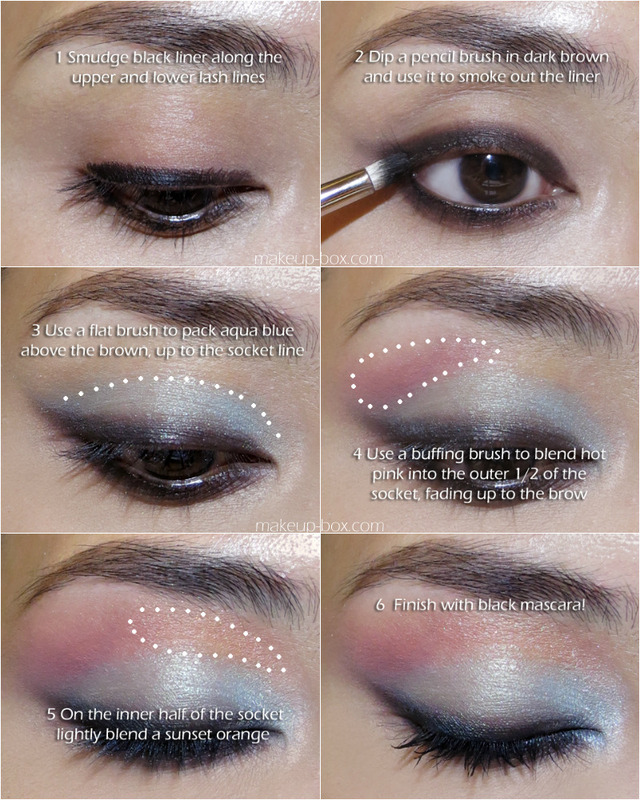 If you’re using the stronger shades, it’s better to do your eye makeup before applying your base.